Vietnam Journal of Science (VJS) is a non-profit project developed by Vietnam Education Foundation Fellows & Scholars (VEFFA). Across the remote Pacific coast, the VEF Fellows aspire daily to contribute to Vietnam science. Gratitude to the country is expressed by specific action: a group of young people decided to set up a multidisciplinary scientific journal according to ISI standards. With this project, VEFFA desires to help increase international publication of Vietnam as well as contribute to industrial production, give a hands to promote the development of science and technology in Vietnam. 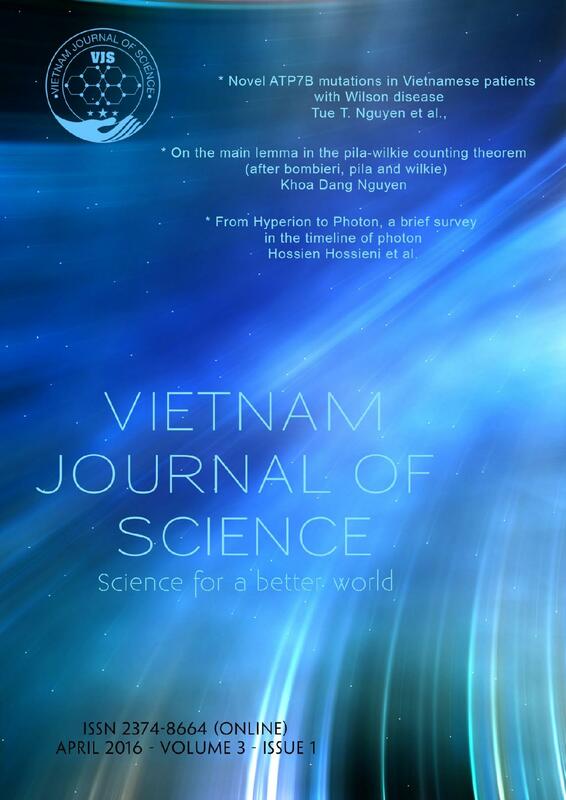 Vietnam Journal of Science (VJS) was established with the motto: “Science for a better world" Journal entries will include: science news of Vietnam, science news of international Vietnamese, technology & application; research & review and portrait of scientist. VJS is expected to be the bridge for domestic and foreign intellectuals of Vietnamese to connect and corporate. The difficulties are huge, the challenges are enormous. However, with the youthful enthusiasm and dedication to their homeland, the VEF Fellows are willing to accept the challenge “for a better world". The success of this project depends largely on the contributions of leading intellectual brains of Vietnam. Therefore, the participation of Vietnamese scientists around the world are tremendous contribution to the journal. VJS hopes to receive the support of the scientific community in general and VEF fellows and scholars in particular, so that one day the science boat of Vietnam will merge with the human knowledge ocean.